Combining 100% vegetable tanned Italian leather with premium wool felt, hard graft has created this beautiful passport wallet. 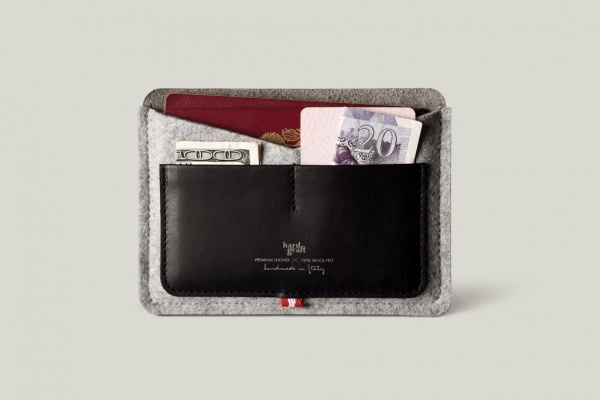 ï»¿ï»¿ï»¿ï»¿Inspired by models from previous seasons, this slimmed-down version features the ability to store two passports, two credit cards, cash, and airplane tickets all in one place. The latest from hard graft can be purchased at the hard graft online shop for $77 USD.